The Twelve Tribes wall hanging is 8′ wide x 5′ tall. 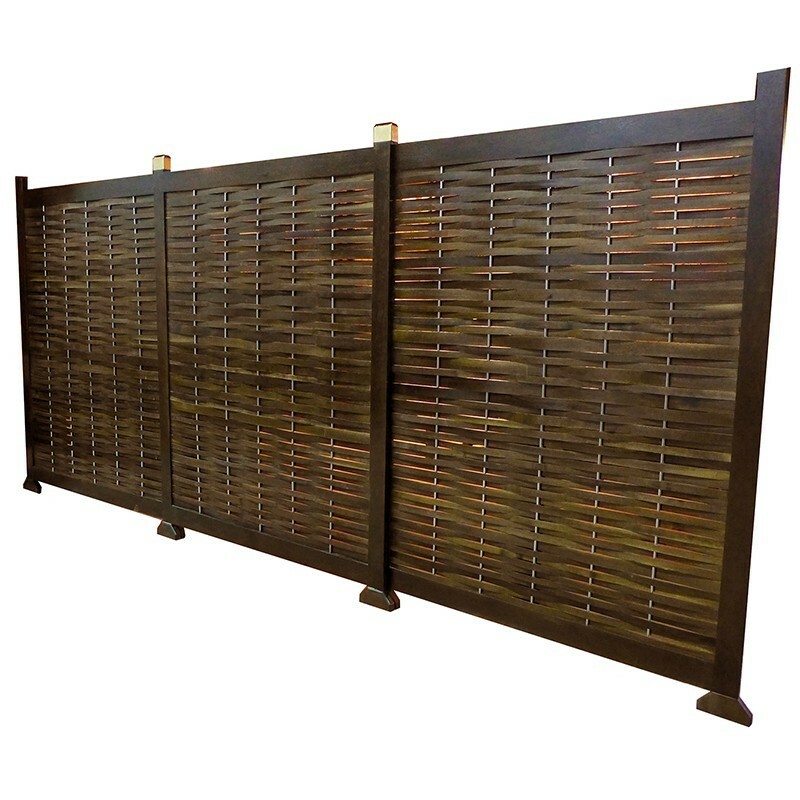 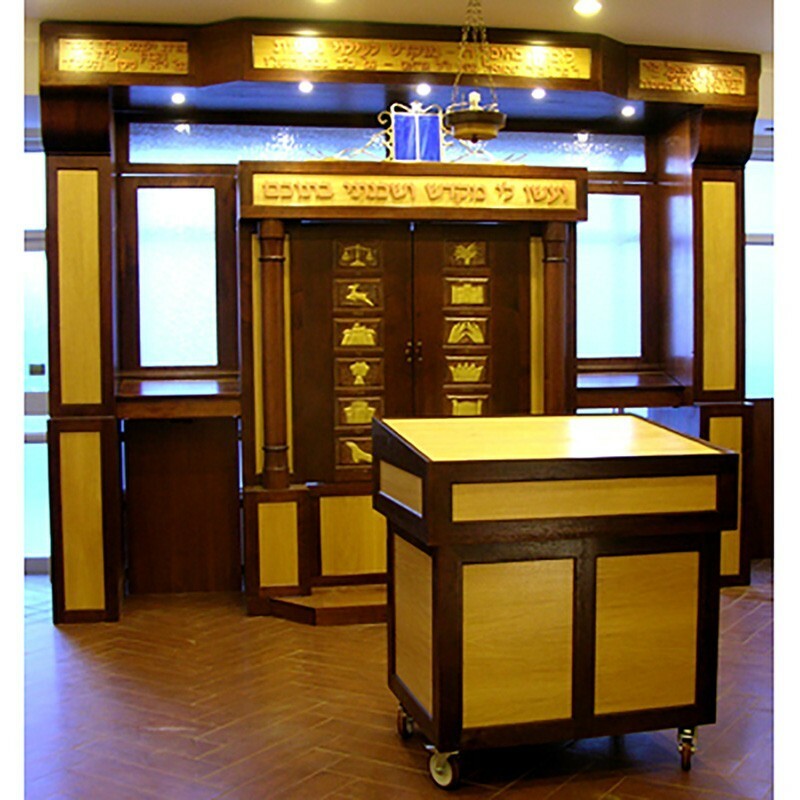 It was custom designed and produced for a synagogue in New Jersey by Bass Synagogue Furniture. 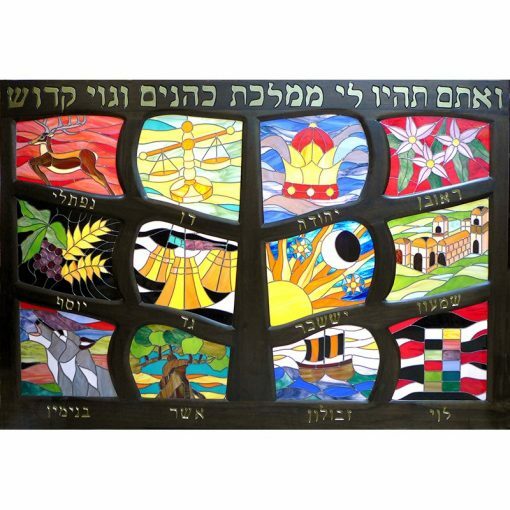 Each panel was designed to reflect the characteristics and color sequences for each of the tribes of Israel. 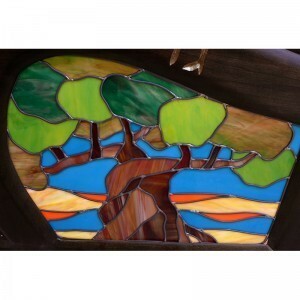 Our stained glass artist is one of the most renowned in the world, dedicated to producing the finest glass art. 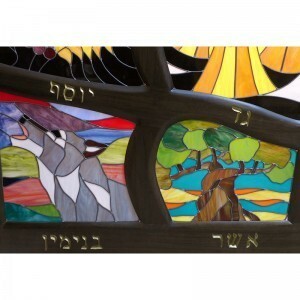 For more information about this project or to discuss a custom stained glass project for your synagogue or home, please contact us today. 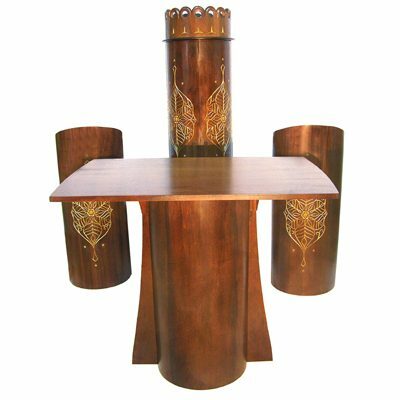 The project also included other custom synagogue furniture, including prayer shtender, tables, and other synagogue artwork. The wooden frame was built using inventive techniques by artist Gabriel Bass. 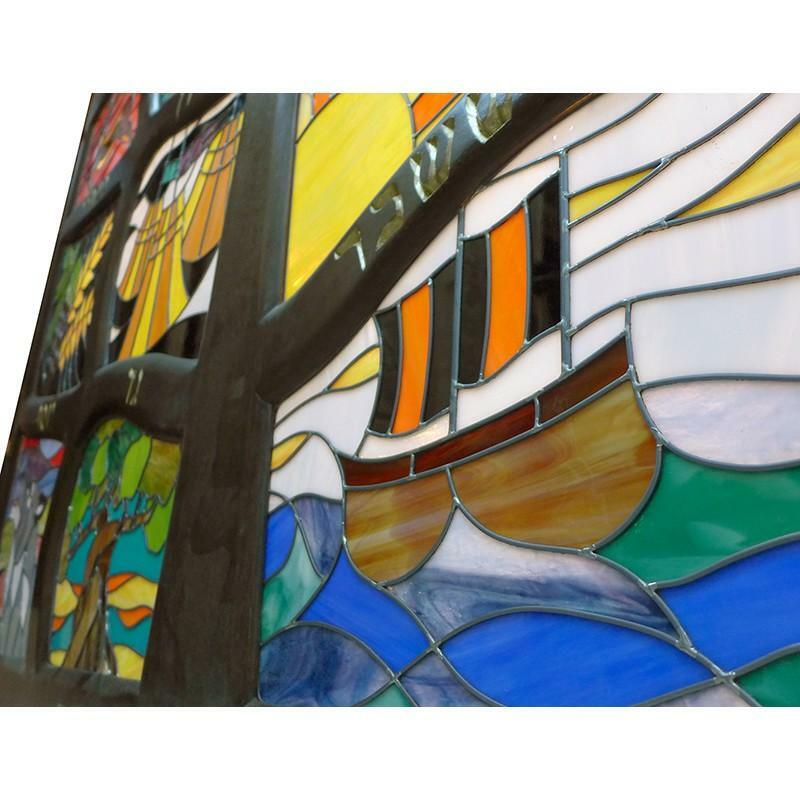 The stained glass was a collaboration with a remarkable stained glass artist with years of training and experience throughout Europe and the world. 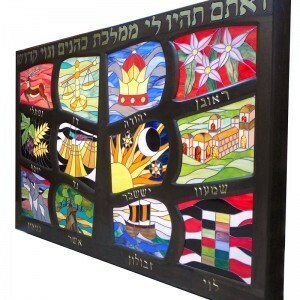 Bass Synagogue Furniture will custom design and produce Stain Glass lighting solutions for any space. The twelve tribes light box can be produced in a variety of sizes and styles. Each project is designed specifically for each client, according to their needs, style, and budget. 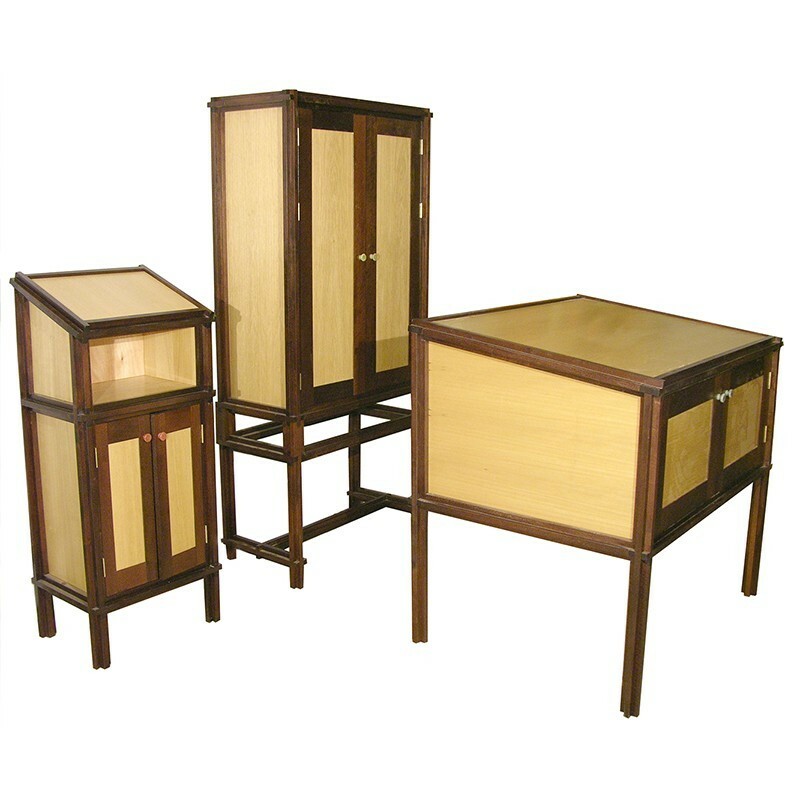 Each project is designed in computer and hand generated images for approval before production. 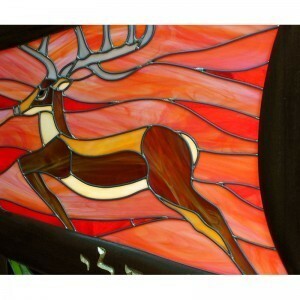 Please inquire about your custom stained glass project.